In its most recent session Wyoming legislators approved the growing of industrial hemp, initially in trial plots under the auspices of the Wyoming Department of Agriculture. Now it’s time for the regulatory bureaucracy to allow Wyoming to reap the benefits. The WDA is charged with issuing licenses to farmers wishing to participate, and to implement regulations in keeping with the new law. It may delay licensing until it has the funds to purchase or retrofit testing machinery. However, it’s not necessary to spend beaucoup bucks to implement the law’s testing requirements: HS 116 authorizes the WDA to contract testing out to an independent lab. As I pointed out in a letter to WDA’s director, Doug Miyamoto: The state of Colorado has similar testing requirements. A certified lab tests the hemp’s THC, charging $25 per acre, a cost borne by the growers. When I recently spoke at a hemp festival in Alcova, I was told the organizers invited Hank Uhden of the WDA but he declined. Hence I urged the WDA to enter into conversation with farmers and other stakeholders, and to implement licensing with due diligence. Our neighbors Colorado and Utah have been producing hemp for several years while our state has missed out. Now is our chance to move forward. A number of Wyoming farmers are eager to start hemp production, some of us encouraged or advised by Colorado hemp farmers. Our high-plains location marks Wyoming as one of the driest states in the union. The weather instability brought on by climate change, such as the June 12 tornadoes and outsize hailstones, only adds to the troubles of farming. The winter wheat we used to raise on my acreage in Platte County has come to naught. Obviously then, farmers like me are interested in the dry-land-friendly properties of hemp. Did you know that in 1455 the first Gutenberg Bible was printed on hemp paper? That in 1619, Jamestown, VA, passed a law ordering its farmers to grow hemp? By 1850, the U.S. Census showed 8,327 hemp plantations in the South, each with a minimum of 2,000 acres. Kentucky, once the nation’s top hemp-producing state, had rope and bagging factories that, in Lexington alone, employed 1,000 workers. George Washington grew hemp at Mount Vernon. So did Thomas Jefferson at Monticello. Benjamin Franklin used hemp when he started one of America’s first paper mills. Hemp is a fast-growing crop that requires no irrigation and no fertilizer. One acre of hemp can produce 3 to 10 tons of biomass every four months of growing season. Hemp is cheap to tend, doesn’t need pesticides, is actually good for the soil, is heartier than most similar plants, and is the strongest natural fiber in the world. The wagons of the pioneers were covered with hemp cloth — indeed, the word “canvas” comes from the Arabic for hemp. In their heyday, merchant schooners and marine ships used many tons of ropes and rigging made of hemp. Hemp was called “a billion dollar crop” in the February 1938 edition of Popular Mechanics, which noted hemp “is used to produce more than 5,000 textile products, ranging from rope to fine laces, and the woody ‘hurds’ remaining after the fiber has been removed contain more than 77 percent cellulose that can be used to produce more than 25,000 products.” In a 1942 film, “Hemp for Victory,” the U.S. government urged farmers and gardeners to produce hemp for the war effort. Growing hemp was legal in the U.S. until 1957. Today European auto manufacturers use hemp in lieu of plastics for their panels; fashion houses produce high-end “organic” clothing with hemp. China, Australia and Canada annually sell us their hemp products to the tune of an estimated $450 million. The U.S. is the only industrialized country that continues to make it illegal to grow hemp while importing huge quantities of hemp products. What went wrong? For the past five decades hemp has suffered misclassification as a Schedule 1 drug because it is in the marijuana family. But hemp is high in cannabidiol (CBD), which promotes wellness, and low in the psychoactive ingredient tetrahydrocannabinol (THC) that gets marijuana users their high. If hemp were legalized at the federal level, the U.S. would solve many problems, save millions of trees, and have a multi billion dollar hemp economy. In other countries hemp is used for thousands of products, including as an alternative bio fuel. When Congress took action in 2014, it was tepid, half-hearted action, as is its wont. Instead of reclassifying hemp at the federal level, the Agriculture Act, which President Obama signed into law, allows each state to determine its own policy for hemp agriculture. Since then thirty-one states have defined industrial hemp as distinct from marijuana and removed barriers to its production. Nevertheless, inasmuch as the U.S. Drug Enforcement Administration (DEA) insists that hemp remain classified as a Schedule I drug, these states labor under a cloud. And now that Attorney General Jeff Sessions declared a new War on Drugs — he has urged Congress to appropriate funds for raids on marijuana dispensaries — hemp is under suspicion once again. Horror stories abound in the media of over-zealous local law enforcement destroying hemp crops in the name of enforcing federal drug laws. However, after a lawsuit by the state of Kentucky, the DEA came up with a compromise: it will issue a “permit” to any state who seeks it, essentially promising not to interfere with that state’s agri-hemp business. 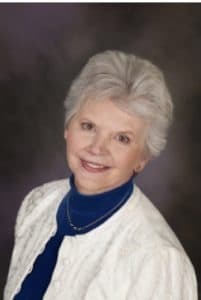 The ambivalence in Congress and among federal agencies has resulted in state regulations that, in Wyoming and elsewhere, are cumbersome and expensive. For example, in February 2015 Wyoming legislators enacted a “Hemp Extract” law. In this they followed Utah’s lead, which followed Colorado’s lead in approving CBD oil, which has been proven to be more effective than synthetic drugs in alleviating seizures, particularly in children. Utah patterned its “Charlee’s Law” after Colorado’s “Charlotte’s Web.” Both laws were named after seizure-prone little girls. Even though prescriptions for CBD oil, which is derived from hemp leaves, have been legal in our state for the past two years, the law excludes many patients with conditions other than seizures who would benefit from CBD treatment. A 2011 review published in “Current Drug Safety” concluded that CBD “does not interfere with . . . psychomotor and psychological functions.” The authors explained that several studies found that CBD is “well tolerated and safe” even at high doses. People addicted to opioid painkillers have found relief with CBD. It is to be hoped that, in its next session, Wyoming legislators will expand CBD regulations. Nothing like spending a couple trillion dollars on the war on drugs to lower Americans addiction rate or usage by nothing. We now have the highest percentage of our people in jail in the known world. Breaking up families in the process. Because of the reefer madness they won’t even let us grow product that is it is as enjoyable as smoking lawn grass. What is most likely to happen is both the state and the federal government is likely to crack down like they are with the opioid problem, which the more control the federal government has on opioids the more overdoses we get. I am not suggesting a fix however are current policy of putting people in jail is not working. Thanks for your advocacy on this issue, Edith, and for your informative piece. I’m betting that one day soon all your work will pay off. Very well written article. 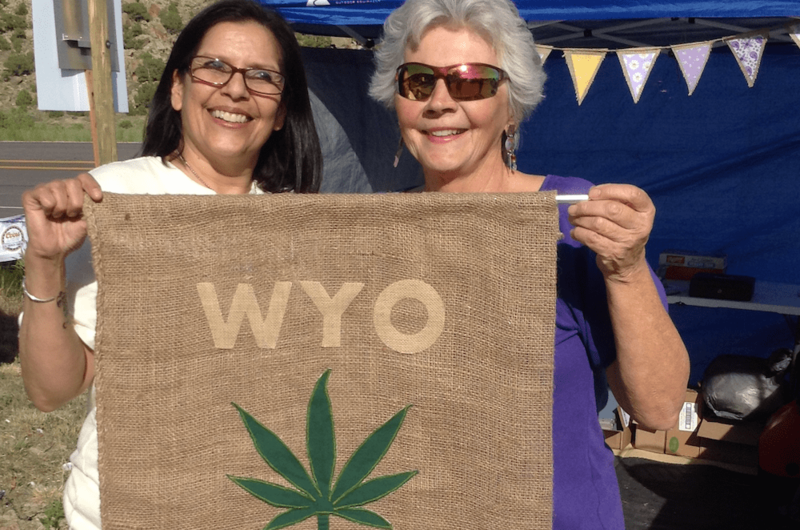 Thank you Edith, for your support of hemp being a true economic diversity measure, so that Wyoming’s agriculture community can have another tool to be profitable.